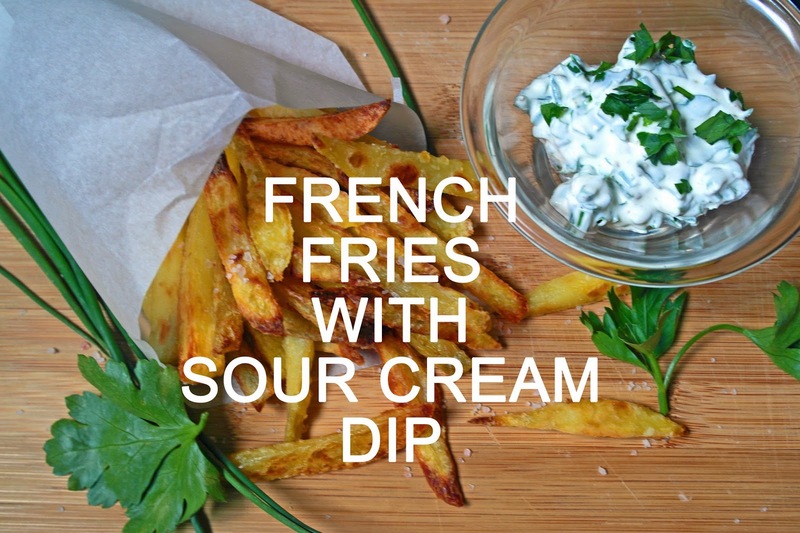 Today I am showing you a way to make french fries with sour cream dip - no deep-frying involved! Although I sometimes like the tastes of something fried, I really don't want to do that at home as I can't stand the smell in my kitchen. 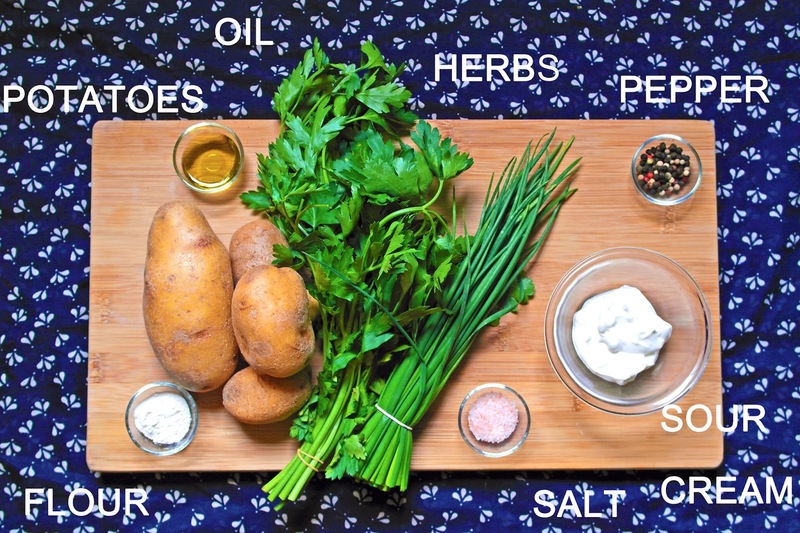 This recipe requires only a little bit of oil, so no bad conscience here! Let the potato sticks cool of for a couple of minutes, then pour some oil, salt and flour over it. 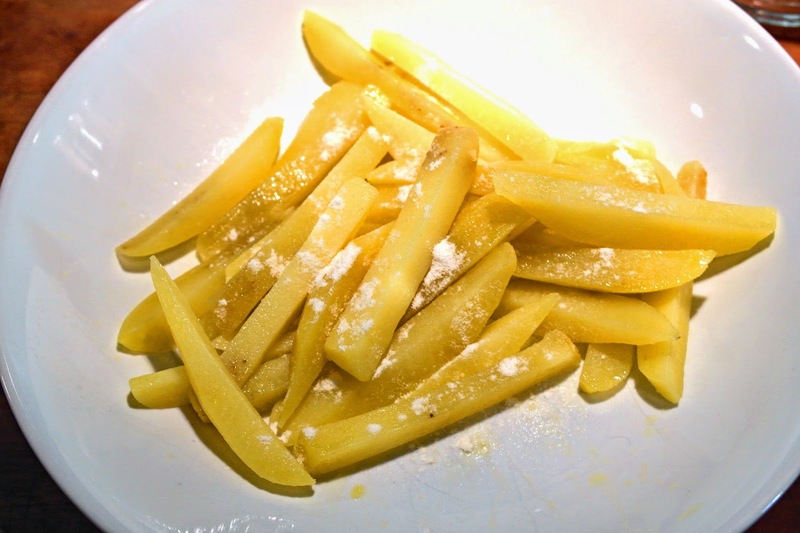 With the flour the fries will get extra crispy. Preheat your oven to 180°C (356°F). Place them onto a baking tray or casserole (you don't need any extra oil) and bake them until golden, which takes about 25-30 minutes. 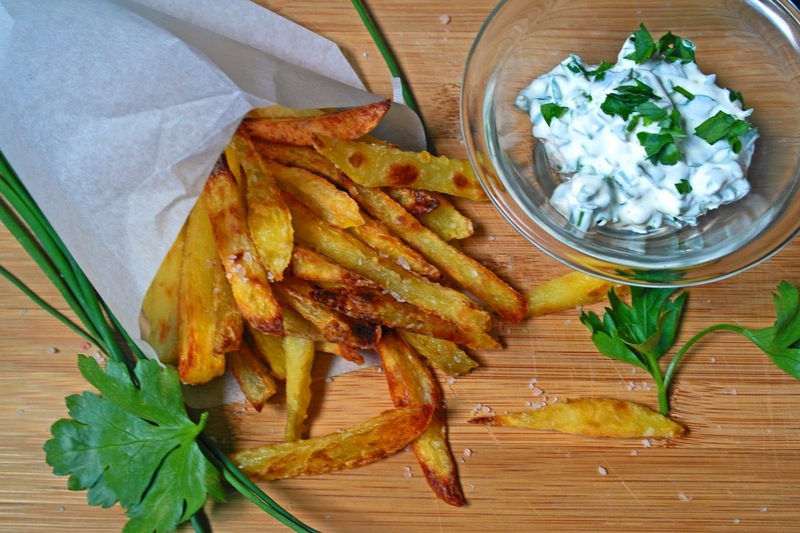 While the fries get crispy, chop the herbs and mix it with the sour cream. 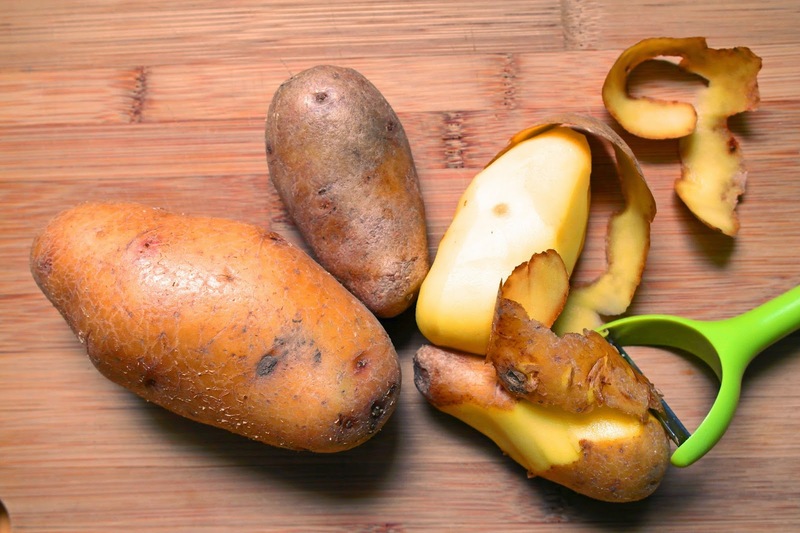 Season the dip with salt and pepper. 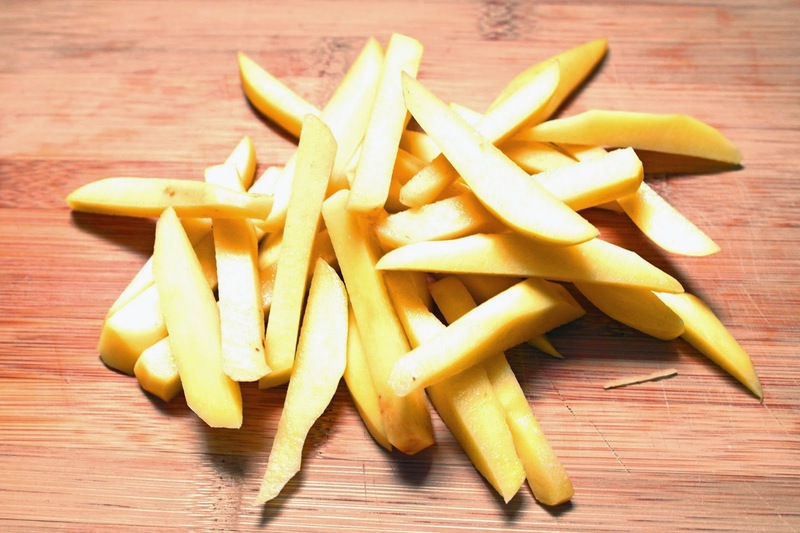 When your fries are ready, pour some extra salt over them and start eating right away!